Concentrated serum of multi-proteins that works to immediately repair weak lashes and restore thickness of over-tweezed or thinning brows. 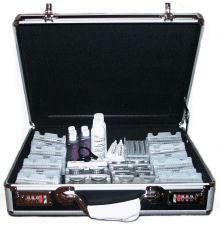 Added conditioners soften dry, brittle lashes enabling them to grow longer, thicker and fuller. 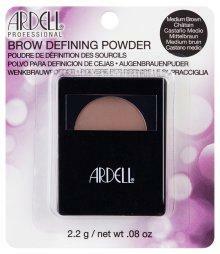 Ardell Brow Defining Powder uses a dose of concentrated pigments to create naturally defined brows. With short, light strokes apply powder starting at the inner corner of eyebrow, following the natural arch. 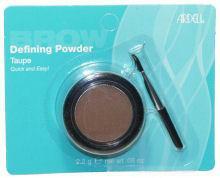 Contains: brow powder 0.8 oz (2.2g) and one case with applicator brush and mirror. Brush-on powder that darkens and enhances eyebrows for absolutely defined brows. The concentrated color allows you to create perfectly arched brows and applies easily with the slant-tipped brush. 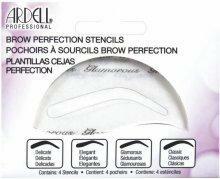 Brow Perfection Stencils are easy-to-use and quickly help you shape the perfect brow. Four different pre-cut stencils (Delicate, Elegant, Glamorous, Classic) mimic the most desired brow shapes for all face types. An easy and convenient no-mess tool perfect for trimming and shaping eyebrows. The unique design helps prevent cuts, nicks and irritation of delicate skin. Also perfect for use on face, neck, arms, and bikini area. 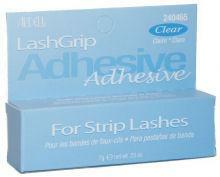 For Use with Strip Lashes! 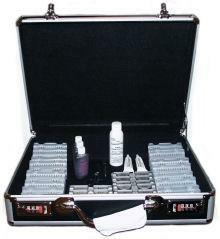 Holds lashes securely in place, dries quickly and is easy to use. 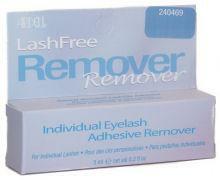 For Use with Individual Lashes! 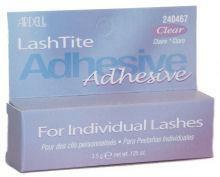 Specially formulated to dissolve LashTite Adhesive quickly and safely.